Not your conventional traditional Italian gnocchi recipe. Still these flavourful dumplings have the right consistency of gnocchi and a hint of tofu taste that makes the dish stand apart from any other gnocchi. When it comes to gnocchi it is all about consistency, not too chewy, not too gummy nor dry. To avert a disaster, tofu must be as firm as possible otherwise you will end up adding too much flour and alter the consistency. I used the Organic original Cauldron tofu, free from genetically modified ingredients and easy to find here in the UK. It’s the same old gnocchi story, except that it is easier to make because there are no potatoes to boil but just tofu to blend in a food processor together with flour. Why tofu gnocchi? I love potatoes – how could I not love them? – but I wanted to make a less explored recipe (I could not find online any “convincing” one) and less carb heavy. Honestly, I was far from sure the tofu would blend in as well as potatoes and I’m happy to report the outcome totally exceeded my expectations! 60 g 1/2 cup plain flour. Add more if necessary. Drain and press the tofu to give it extra firmness. 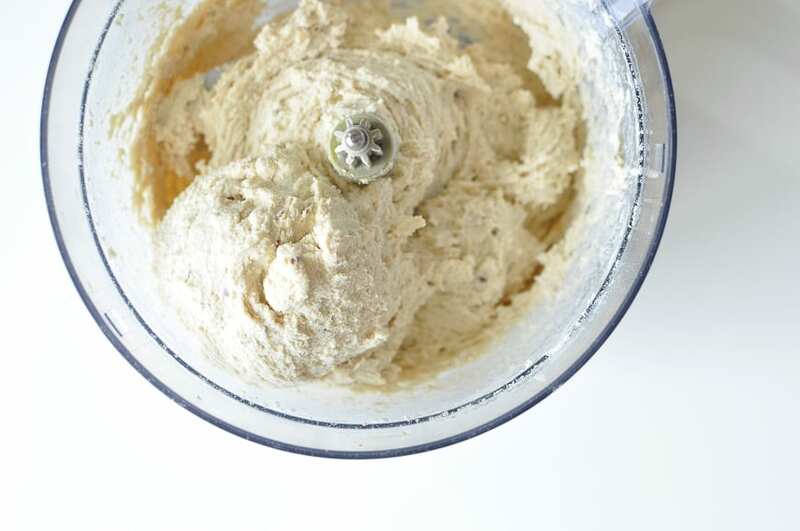 In a food processor, add tofu and plus until it is is at a fine consistency. Add the nutritional yeast, salt, pepper. Next, add the flour and blend together until a ball is formed. Bring a large pot of salted water to a boil. Drop your gnocchi into the simmering water and allow to cook until gnocchi has risen to the top (3-4 minutes); drain well and top with your favorite sauce. I quickly stir fried cherry tomatoes and added to the gnocchi stirring with pesto. This is such a creative use for tofu, a great way to sneak some protein into the dish! Pinning for later, Thanks! This looks too good! I will give this a try. Now that’s very clever! Looks absolutely delectable, as well.